Duet for Three is an interactive dance video installation created in 2011 with Tanja Råman and Dan Canham. It features a motion-tracking system, programmed in Isadora, that enables the dancers on-screen to respond to the movement of the viewer. 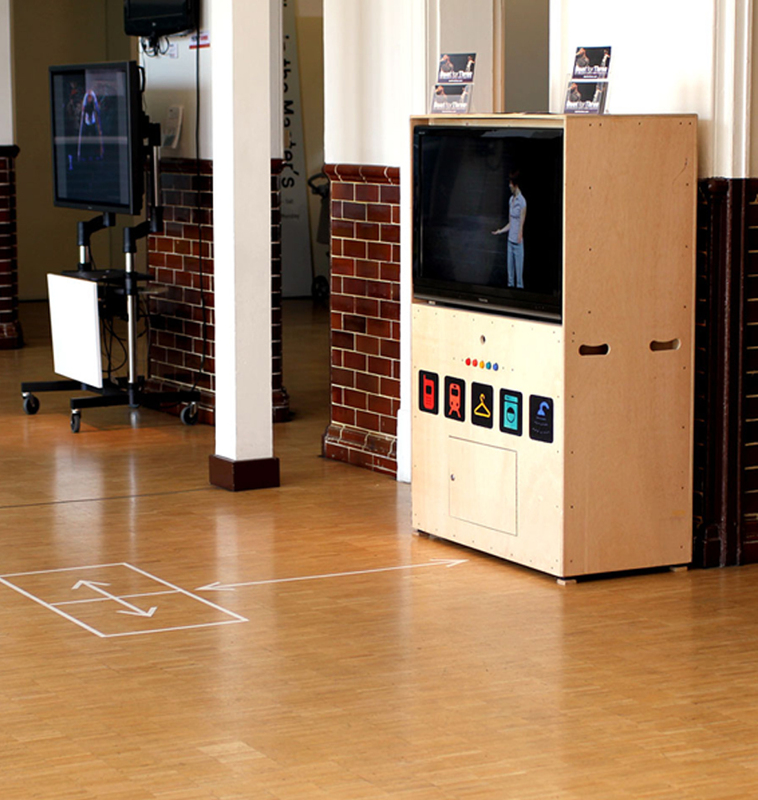 The display crate no longer exists, but Duet for Three can be adapted to various contexts, using a projector or a screen. It has been installed in various spaces throughout the UK and has been developed as a temporary experience. project funded by Arts Council Wales, with support from Taliesin, NDCW and The Riverfront.